That it is known as the ‘Rock’ is in retrospect a marvelous index of the not-so-simple relation between building and climbing (and thinking) which this essay will explore. The Rock is of course not a rock but a room-less building of walls meant for climbing composed of crack-featured concrete slabs elevated at different angles and embedded with a variety of stones. Concrete, from concrescere, ‘to grow together’. This stony conglomeration of metal, concrete, and rocks rising from a bed of pebbly gravel is thus also not not a rock. In other words, the Rock is a building that is analogously a rock, recalling that analogy—a term between univocity and equivocity—concerns a relation or participation among things that are categorically different yet bear a substantial connection to each other, as when we say (to follow the classic Aristotelian example) that an apple is healthy. Likewise in nick-naming the Rock with the word ‘rock’ we are not so much signifying what it is as calling it by what it does for other beings in relation to rocks, both despite and because what it does is also formally inseparable from its sharing rock’s nature. What makes the Rock ‘rock’ is that is a rock for rock-climbers, at once a practice rock that becomes rock in being practiced upon as rock and a not-rock that is rock in the sense of something whose being or essence, whatever makes it what it is, is itself to practice being rock, insofar as being the Rock can be thought of as an activity, which I think it can seeing that being is a verb. Rock is what the Rock does (for climbers)—a climbing rock: rock to climb and rock that climbs. We may see the Rock as a kind of concrete shadow of Mount Analogue, not in the sense of a model of some ultimate rock, but something more useful and homely. Where Mount Analogue is the imaginary cosmo-geological mountain of mountains which must by analogy exist somewhere on earth, invisible yet accessible (i.e. the more-than-mountain that all mountains are analogies of), the Rock is analogue rock in the sense of being an actual as opposed to imaginary construction that functions as rock, an accessible yet ‘invisible’ less-than-rock that is an analogy, however imperfect, to all rocks. The correlative ‘invisibility’ through which the Rock functions is the measure of eliminative not-seeing that activating its potential requires, namely, the physio-imaginative act of climbing as if some holds were not there, as in above image where I am laybacking the left side of a hand-crack instead of jamming it. Such seemingly artificial or contrived invisibility actually has a very close inverse relationship both to how one naturally uses things in general, how the instrument or tool “disappears into usefulness,” and to how one dwells in and with them, how “Inhabited space transcends geometrical space” and the house becomes “both cell and world.” Hold-elimination is the haptic mirror and a kind of reverse engineering of phenomenal depresencing, the harvesting of a potential that appears when its means is taken away, just as the vital form of building and dwelling coincide in what cannot be touched: “We make doors and windows for a room; / But it is these empty spaces that make the room livable. / Thus, while the tangible has advantages, / It is the intangible that makes it useful.” Off-limits features are windows. Objects that are cherished in this way really are born of an intimate light, and they attain to a higher degree of reality than indifferent objects, or those that are defined by geometric reality. For they produce a new reality of being, and they take their place not only in an order but in a community of order. From one object in a room to another, housewifely care weaves the ties that unite a very ancient past to the new epoch. The housewife awakens furniture that was asleep. The Rock is such a community in an inverse sense, an exclosure of walls made for climbing, a practice which likewise connects using and dwelling in a manner that reflects back upon building as a means of navigating the space between these functions. Enclosed in a building, one may in a flexible sense dwell without using (think) and use without dwelling (work). Exclosed at the Rock, one may in a flexible sense dwell while using (as when pondering boulder problems) and use while dwelling (as when climbing on the walls). Like the housewife of one’s climbing’s life, the rock-practicer moves among the Rock’s roomless rooms awakening its stones into the building of oneself and others as climbers. I am not alone in having spoken of myself as a ‘product’ of the Rock and returning there, reversing the inner-outer expansion of geometric reality, gives me that paradoxical spatial sense of mnemonic shrinkage/expansion one typically feels revisiting an old home. The whole thing seems so much smaller, yet larger and taller next to the thought of repeating the circuits that once made the tower’s top feel close to the ground. 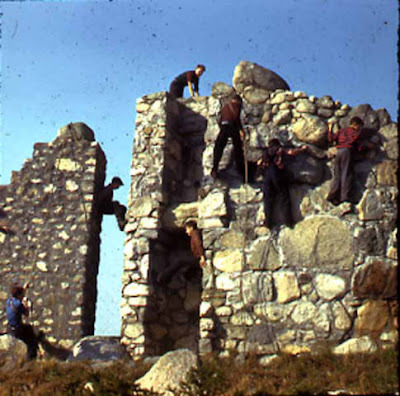 However one considers these dimensions, the Rock demonstrates that the complex ways in which climbing practices stone beyond itself definitely concern the using/dwelling boundary and reflect back upon the nature of building. From the Tower of Babel to skyscraper builderers, building and climbing are non-accidentally related. The whole sphere of climbing itself exists through an open collection of constructed enclosures, things that hold and keep and protect us from the world and ourselves. That artificial climbing walls have continued to evolve more and more towards forms of dwelling, into inclusively exclusive urban entities selling and developing the space of climbing as community, work-play, lifestyle-domicile, etc. only presses further the issue of climbing’s relation to building, the question of what it is that climbing builds, the horizon of its dwelling, and above all, the order and dimension of its homelessness. The Rock, like other kinds of human buildings, is something between a rock and a construction, part of the continuum between nature and architecture, from cave-dwellings to skyscrapers, but also something curiously beyond-within that continuum, namely, building materials petrobatically repurposed to mimic their own natural formations. There is a beautifully weird creativity to this progressively atavistic way in which climbing leads architecture (and architecture leads climbing) to the construction of bouldering walls which in turn become a tool for building climbers capable of ascending the hardest and steepest natural shelters like the now famous Hanshellern (lit. Hans’s cave) in Flatanger, Norway. Really speaking the first artificial climbing walls are built dwellings made into climbing walls by the simple act of practicing climbing upon them, as documented by Geoffrey Winthrop Young’s anonymous Roof Climber’s Guide to Trinity (1900), just as early artificial climbing walls resemble buildings, or like Schurman Rock (1939), ruins. As mountains develop in the form of geologic ruins—Ruskin’s gloriously gloomy “great cathedrals of the earth” and index of the planet as “wreck of Paradise”—so do modern climbing walls take place in the fertile ruin of architecture, in a zone where the climbing human can like an animal vine again take hold in new ways of life’s in/organic interface. 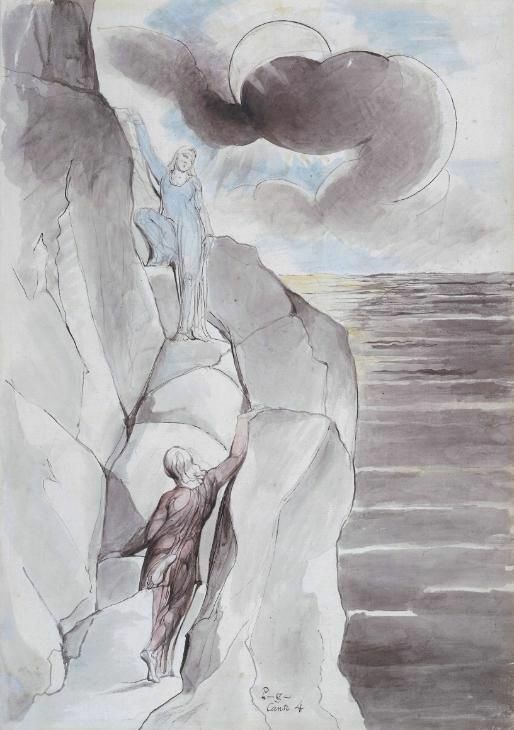 If climbing is primordially related to the desire, as per Plato’s exemplary allegory, to ascend not only up but out of things, then we may surmise that there is a deeper secret relation between climbing and building as intertwining paths twisting upon-through earth as our temporary dwelling-place in the ‘hanshellern’ of this cosmos, the overhanging divine underworld of the universe. 1. What is it to climb? 2. How does building belong to climbing? 1. Building is really climbing. 2. Climbing is the manner in which mortals are on the earth. 3. Building as climbing unfolds into the building that cultivates growing things and the building that erects buildings. Only if we are capable of climbing, only then can we build . . . Climbing is the basic character of Being, in keeping with which mortals exist. Perhaps this attempt to think about climbing and building will bring out somewhat more clearly that building belongs to climbing and how it receives its essence from climbing. Enough will have been gained if climbing and building have become worthy of questioning and thus have remained worthy of thought. But that thinking itself belongs to climbing in the same sense as building, although in a different way, may perhaps be attested to by the course of thought here attempted. Building and thinking are, each in its own way, inescapable for climbing. The two, however, are also insufficient for climbing so long as each busies itself with its own affairs in separation, instead of listening to the other. They are able to listen if both—building and thinking—belong to climbing, if they remain within their limits and realize that the one as much as the other comes from the workshop of long experience and incessant practice. See René Daumal, Mt. Analogue: A Tale of Non-Euclidean and Symbolically Authentic Mountaineering Adventures, trans. Carol Cosman (New York: Overlook Press, 2004). Martin Heidegger, “The Origin of the Work of Art,” in Basic Writings, ed. David Farrell Krell (San Francisco: Harper, 1993), 171. Gaston Bachelard, Poetics of Space, trans. Maria Jolas (Boston: Beacon, 1964), 51. Lao Tzu, Tao Teh Ching, trans. John C. H. Wu (Boston: Shambala, 1989), 23. Gaston Bachelard, Poetics of Space, 68. I am coining the word from Ancient Greek πετροβατικός ‘given to rock-climbing’. John Ruskin, “Of Mountain Beauty,” Modern Painters, Volume IV, https://www.gutenberg.org/files/31623/31623-h/31623-h.htm. The name Hans (John), from Hebrew Yôḥānān, means ‘graced by YHWH [God]’. Norwegian hell, meaning ‘cave, overhanging cliff’ and cognate with English hell, derives from the root *kel- ‘to cover, conceal, save’. 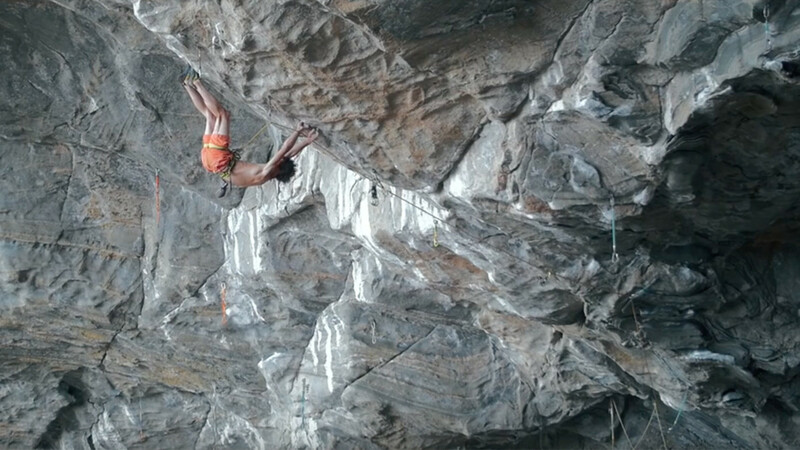 So there is something playfully symbolic, at the verbal level, in the present fact that the hardest route in the world, named Silence and climbed by the tautologously named Adam Ondra (lit. ‘man man’ or ‘manly man/earth’, from Greek aner, andros, ‘man’ and Hebrew adam, ‘man, human,’ fr. adamah, ‘earth’; cf. human, fr. root *dhghem- ‘earth’)—“Life wants to climb and to overcome itself by climbing” (Nietzsche)—hangs there like an open secret upon climbing’s inverted horizon. Indeed the crux move of Silence, involving a full body inversion, performs the self-inversion that the spiritual ascent of man as arbor inversa, “a plant whose roots are not in earth, but in the heavens” (Plato, Timaeus, 90a), necessarily involves. See A. B. Chambers, “‘I was but an inverted Tree’: Notes Toward the History of an Idea,” Studies in the Renaissance 8 (1961): 291-9. In hermetic terms, as “the Fall of Adam [is] the passage from a spiritual gravitational system . . . to a terrestrial gravitational system,” so spiritual freedom “live[s] under the sign of celestial gravitation instead of that of terrestrial gravitation,” via the inversion represented in the figure of the Hanged Man as symbol of the human reordered according its highest will: “The other characteristic trait of the spiritual man is that he is upside down. This means to say, firstly, that the ‘solid ground’ under his feet is found above, whilst the ground below is only the concern and perception of the head. Secondly, it means to say that his will is connected with heaven and is found in immediate contact (not by the intermediary of thought and feeling) with the spiritual world. This is in such a way that his will ‘knows’ things that the head — his thinking—still does not know, and so that it is the future, the celestial designs for the future, which work in and through his will rather than experience and memory of the past. He is therefore literally the ‘man of the future’, the final cause being the element activating his will. He is the ‘man of desire’ . . . the man whose will is set high, above the powers of the head —above thought, imagination and memory” (Anonymous, Meditations on the Tarot: A Journey into Christian Hermeticism, trans. Robert Powell [New York: Putnam, 1985], 316). Similarly, Aleister Crowley’s brief guide of 1898 to the Y-Boulder at Wasdale Head lists twenty-two problems, the first and last being inverted variations of “The Easy Way”: “1. The Easy Way . . . 22. The Easy Way. Feet first. 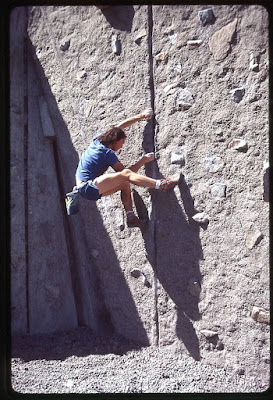 Face inwards” (John Gill, Origins of Bouldering, http://www128.pair.com/r3d4k7/Bouldering_History1.1a.html). “The way up and the way down are one and the same” (Heraclitus: The Complete Fragments, trans. William Harris, n.p., 2010). See Martin Heidegger, Basic Writings, 347-63.
in the works via T.A.C.T.